I don’t exactly associate carrots with that day, but a birthday wish is a birthday wish! 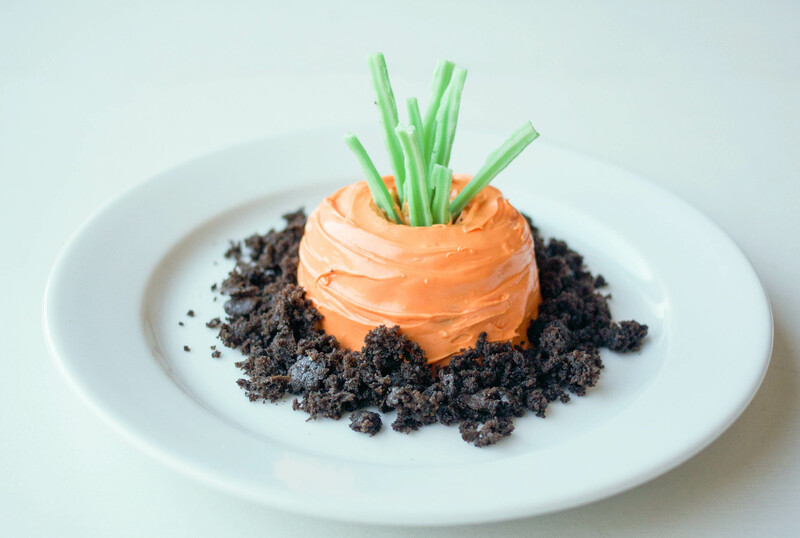 My cousin did a great job accommodating the request and I ended up with the idea for carrot top mini cakes! One of the brilliant tutorials I came across was this gem from Jacks and Kate. So smart! They used a bowl flipped upside down (genius), but I thought a bundt cake could totally work as well. 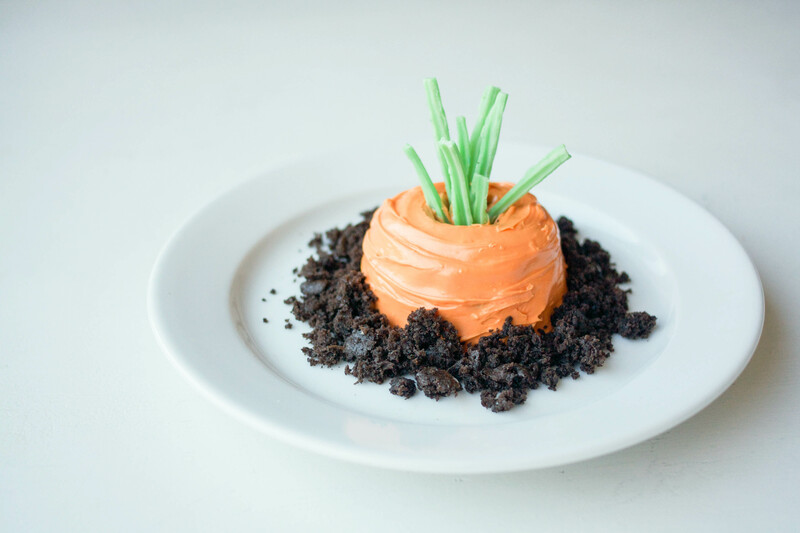 Since we have a relatively small bunch gathering for Easter this year, and because I have a compulsive need to make all things small, I decided to make individual desserts with my mini bundt pan. 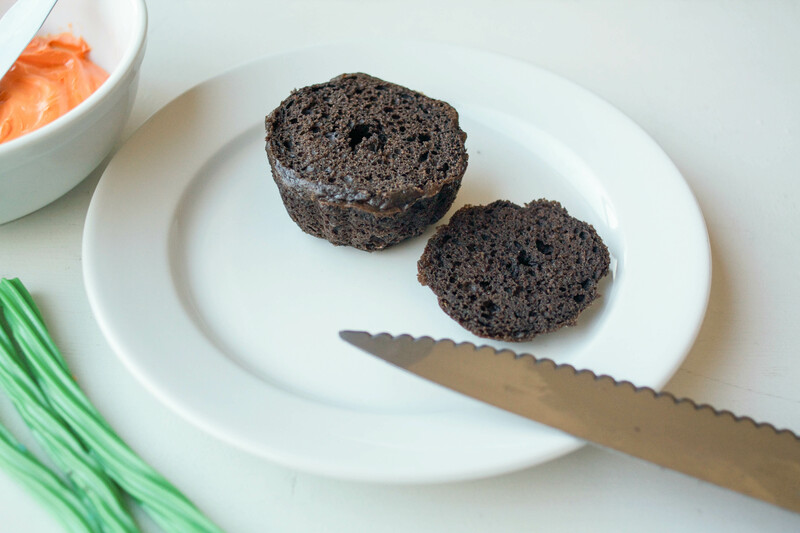 Bake your chocolate mini bundt cakes and allow them to cool to room temperature. 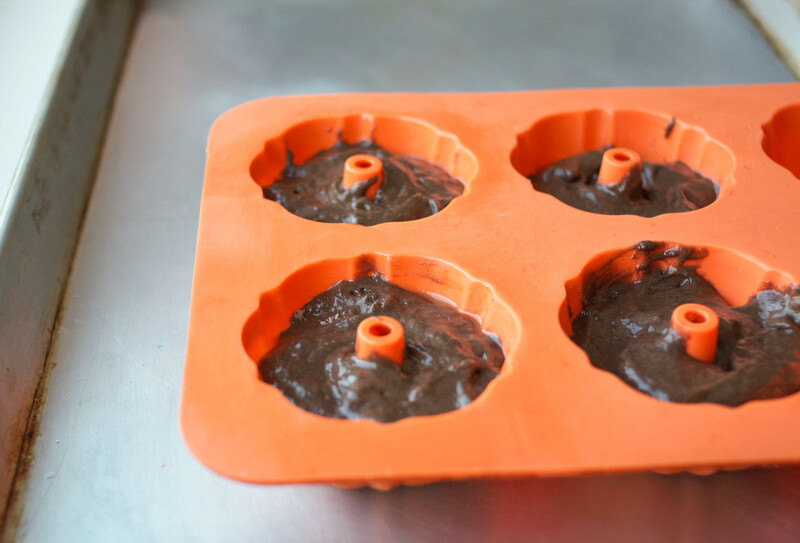 Fill your molds a little higher than usual, because we’ll be using that excess cake to create “dirt”. Trim the bundt cakes so that the bottom sits flat. Set aside the scraps. 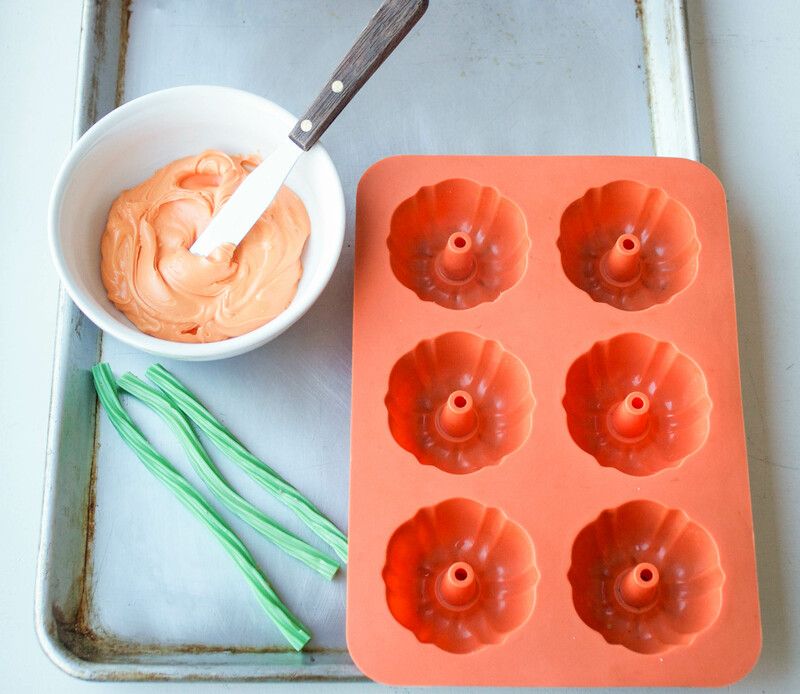 Place your bundt cake on a plate or serving platter and ice with the orange frosting. 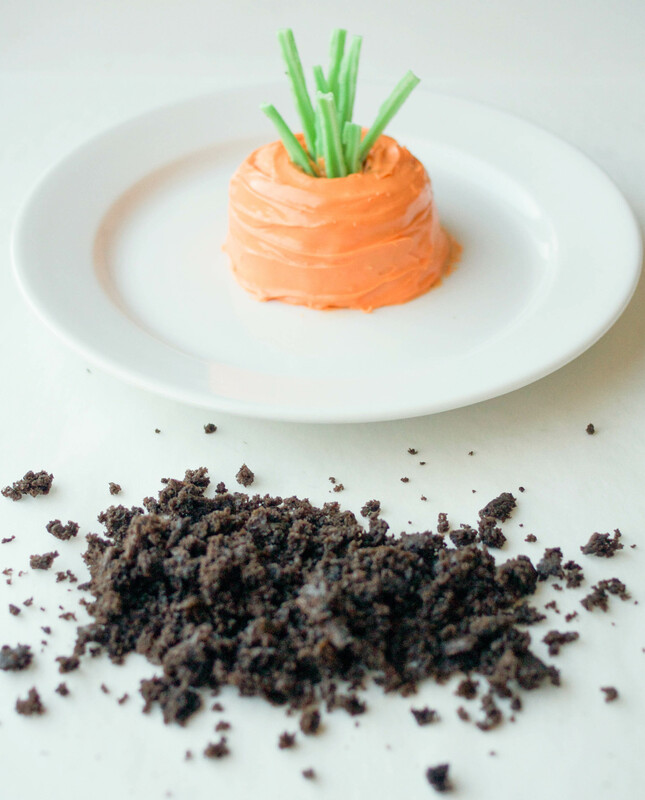 Run the spatula around the cake to create horizontal lines, making the cake look a little more carrot-y. Use the small knife to cut green Twizzlers into thin strips. 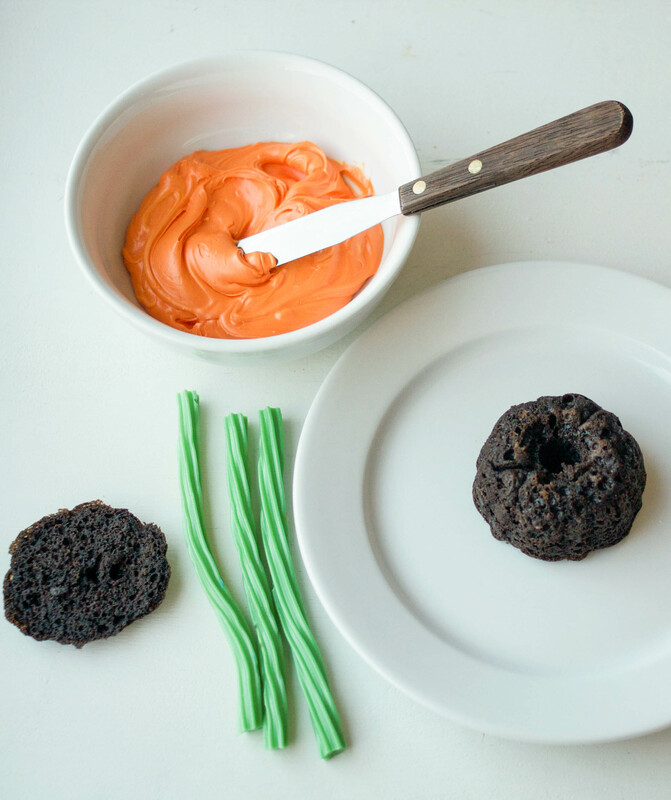 Stick the Twizzler pieces into the center of the bundt cake to create your carrot stems. Crumble up the chocolate cake scraps. 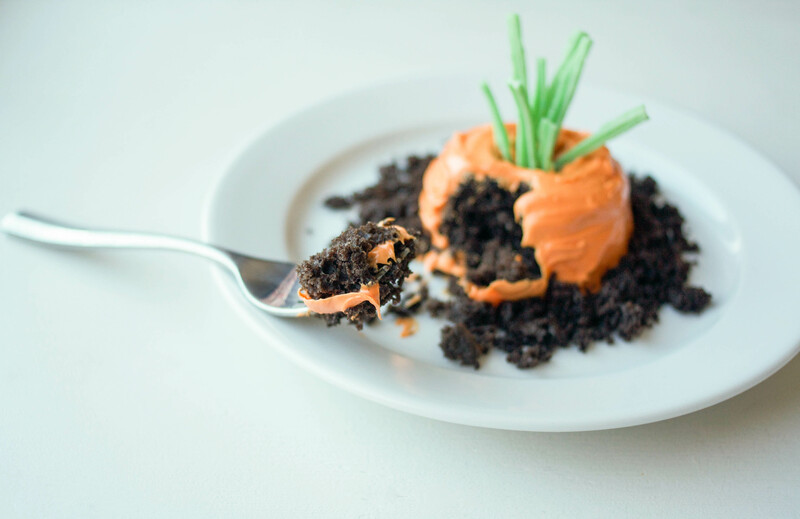 Place the crumbles around the bundt cake, so that it looks like your carrot top is just peeking out of the soil. Incredibly cute idea. My grandkids will love these. Thank you for sharing. Very clever! Great way to utilize every crumb of the cake!